Not everything revolves around Apple and the iOS platform it would seem as the word is when it comes to picking a mobile operating system for the US Army, the military has opted to ignore Apple and iOS in favour of Android. According to an article over on Apple Insider by way of Wired, the US Army is testing a prototype device designed by Mitre, called the Joint Battle Command Platform, which runs the Android operating system. Apparently the development kit, which is known as the “Mobile/Handheld Computing Environment” is to be released to developers sometime in July, and the Army is looking at numerous tasks for the handset including the likes of “critical messaging” for on the ground reporting and medical requests, mapping, and a “Force Tracker,” which keeps tabs on friendly units. 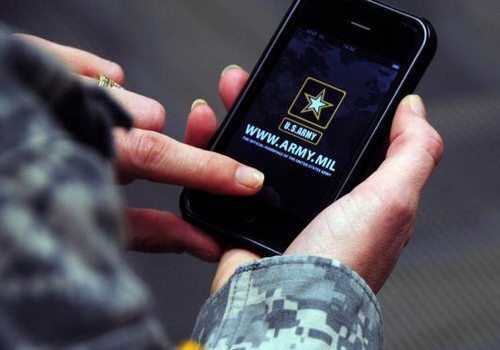 Although apparently security is still a major concern that has to be resolved, and although still a long way from being a final device, it does appear that the US Army has decided that the Android Platform is the way ahead as the “Mobile/Handheld Computing Environment” is expected to run on numerous devices. Wow!!! thats a big shocker for Apple! The Army didn;t bite it! Well, kudos to Android. the OS is really special and lets users multitask with its numerous and highly useful applications. the us army will surely have an excellent and advanced OS at their disposal! Story is about US Army choosing Android OS versus iOS. Accompanying image is of an iPhone. Sloppy. Wow!! the us army chooses android over the iOS. looks like the army doesn't want the bite of the Apple at all!